Overview: JiMz WhatsApp+ is a customized/Modded version of Whatsapp with many new features. It is available to download and install in your android smartphones only. EXTRA UPLOAD LIMIT : In addition you can increase upload media limit (stock limit is 16Mb) to send large music files or videos. PARTIAL COPY/PASTE : You can select the part you want to copy from text rather copying whole text and send it to people in your contact. HIDE PROFILE PICTURE : You can hide contact profile pictures and show phonebook pictures (in chat screen). Privacy mods: Freeze your “Last seen”. Themes mods and Theme Server ( to download/apply themes ). Show Online/last Seen in Main Screen. Increase video size sending from 16 MB to 30 MB. Image sending increases from 10 pictures to 90. Increase status words from 139 characters to 250. Ability to proceed links on chat screen while not saving sender variety or cluster admin variety. Ability to press in links on your friends status without effort. The chance of identifying between traditional and broadcast messages. Hide the name and the date while copying to another chat user. Added more docs file support Apk, pdf, xls, txt, doc, ppt, vcard, xlsx, txt, rtf, docx, pptx ,and zip. * Enabled Mark as Read in Notification. * Removed Mod 6.8 as Old. Backup Chat(Select Local backup, NOT Google backup) if you want don't want to lose it. Download “JiMz WhatsApp+ 9.70.apk” And Install it. Put your number And OTP. Then Click RESTORE CHAT. Done. 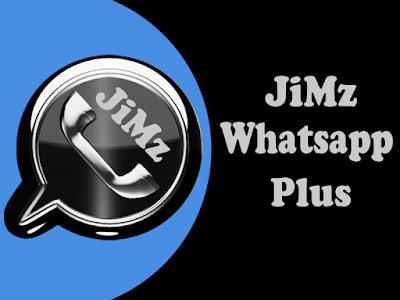 Enjoy the brand new JiMz WhatsApp+ With Plethora Of Features. 1. JiMz Whatsapp+ v9.70 -> It replaces official whatsapp.